starts at 18.00 on Sun 23rd June and finishes at 10.00 on Saturday 29th June, 6 days. 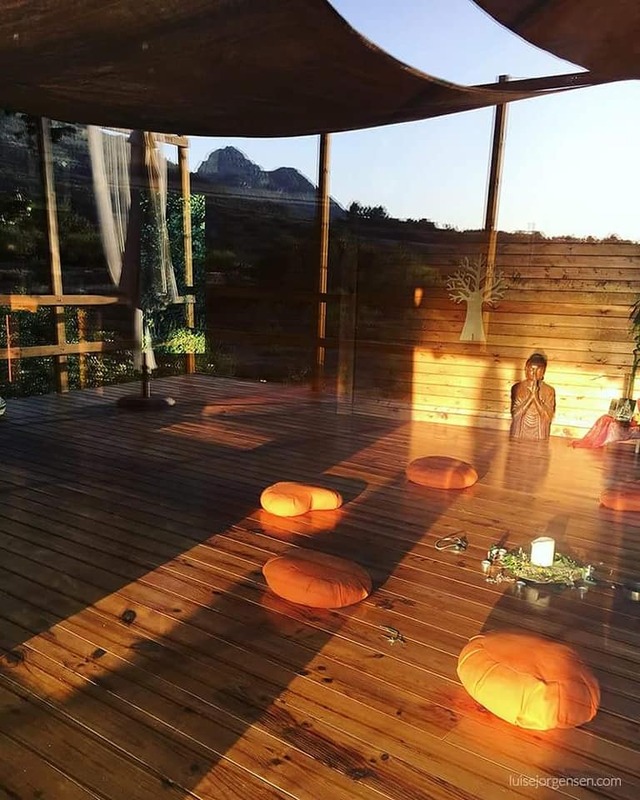 In this retreat we will cover the 8 sessions of the Mindfulness MBSR course and practise gentle Yoga every day. So the retreat is suitable for everyone and will also include optional guided walks into the mountains. 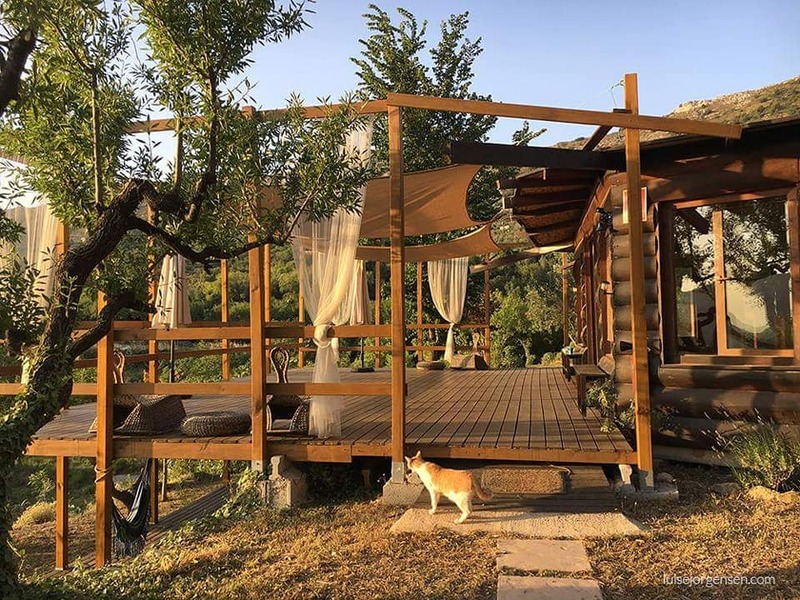 Come and enjoy our little oasis hidden in the sunny mountains amidst cherry orchards and almond groves, midway between Valencia and Alicante. 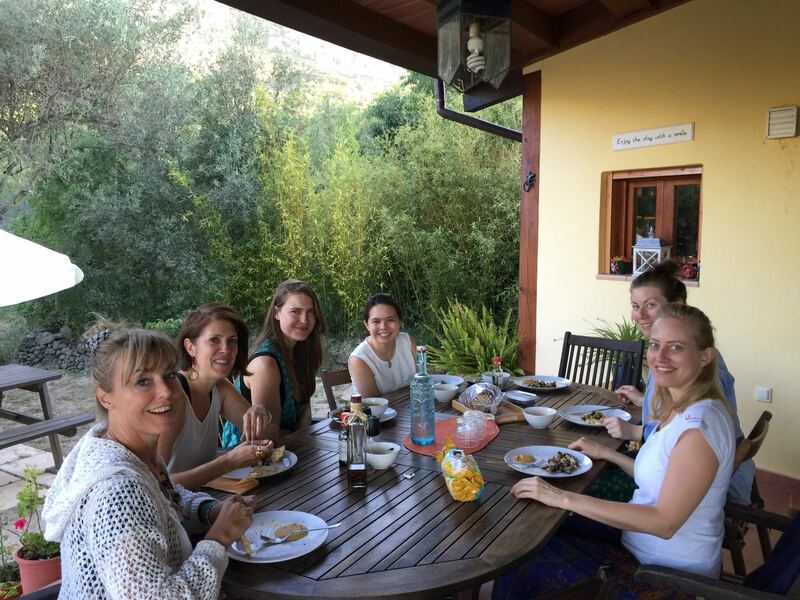 In a welcoming group atmosphere you will experience a week full of guided activities and a lovely vegetarian Mediterranean cuisine. 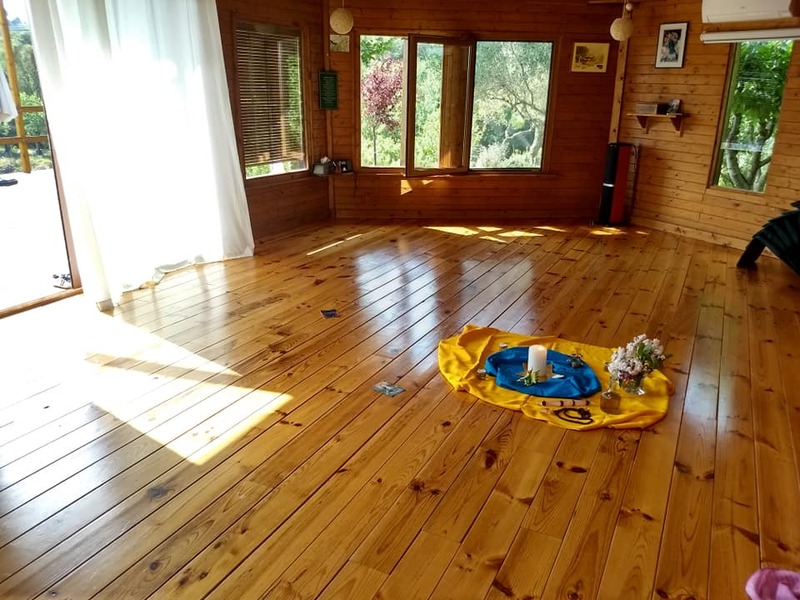 THEME: This retreat in the spectacular Spanish mountains, will teach you the tools to gain more insight into yourself, and be more at ease and content through life's ups and downs. Mindfulness is about waking up to a new way of seeing things, and that’s not easy to do on your own. In this course, unlike when you study from a book or CD, you’ll be guided personally by an experienced teacher. The program is challenging and life-affirming. a workbook with daily assignments and home practice materials. A set of Guided Meditations will be sent to the participants after the retreat, so that they can practise at home once a day, six days a week, to fully embed the learning and new patterns of behaviour. Participants will receive a Certificate of Participation and Attendance. For those seeking to become mindfulness teachers in the future, this certificate will support your application. YOGA: will be suitable for all and is Mindful Yoga and Yin Yoga, aiming to empower individuals towards health and well-being. It will be focusing on optimising health and well-being at every level of the body and mind. It blends the ancient wisdom of Hatha Yoga with mindfulness and modern mind-body techniques. WALKS: We will be offering several walks into the spectacular mountains with views of the Costa Blanca coastline. All optional and lead by an experienced trainer. We have on our doorstep two spectacular walks: one down in to "Hells Gorge" and the other up onto the "Green Horse Mountain" suitable for all. This will be a small, supportive group, max 12, with an experienced group facilitator and mindfulness teacher. Take this opportunity to spend some uninterrupted time feeding your creative spirit with like-minded people in lovely surroundings. Come and join us, you deserve it! Venue:- Solterreno Mindfulness Retreat Centre lies in peaceful countryside where you can live close to nature. With views of the mountains, valley and the sea. The space is ideal for meditation, relaxation and rest. There are some fascinating walks like the "Barranc del Infern" (Hells gorge), a closed circuit route of some 14Km which takes in 5,946 steps carved into the sides of the valley. The surrounding mountains are ideal for hiking. What do I need to bring? It is advised to bring confortable clothing and all the toiletries that you usually need (e.g., shampoo, soap, etc). Also bring confortable walking shoes to use on the walks and you might also be interested in bringing a mosquito repellent. 08.00 Mindful movement and a core Mindfulness practice. Your instructor, Bodhin Philip Woodward Bsc. SYT, AMT, MBSR Supervisor and Senior Trainer, is accomplished and skilled at creating a safe, supportive, and deeply engaging experiential learning environment. He will assist you in learning these methods, providing both group and individualised instructions and directions for how to learn, practice, and integrate mindfulness into your everyday life. Air transportation and airport taxes. If you want extra nighs accommodation this will cost 65€/night inc. all meals. If it comes up in Spanish, just select your country (UK=Reino Unido) and it will revert to your language. the balance we ask you to pay one month in advance.